The Barrington School District Board of Education this week sought further information before finalizing changes to Woodland School’s math curriculum and scoreboard while OKing a greenhouse at the school and honoring a top teacher and students of the month. The board and Superintendent Anthony Arcodia set aside time at the beginning of the meeting to present a plaque to Avon School kindergarten teacher Maria Tregear, who recently was voted as “one of the best” teachers in South Jersey in the Courier-Post’s annual “Best of South Jersey” polls. When it came to approving up to $19,000 for the purchase of new math textbooks for Grades 6-8, however, the board chose not to move forward. 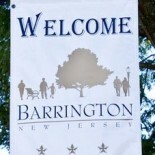 Board members questioned whether moving to a curriculum that differs from what Haddon Heights School District uses might put Barrington students at a disadvantage when they begin to attend Haddon Heights High School in ninth grade. The board chose to delay its decision on the matter until the Curriculum Committee had the opportunity to learn more about the new textbooks and hear from teachers regarding their opinions on the change. The board did OK funds for painting and refinishing the Woodland School gymnasium and placing a greenhouse at the school. The board asked about options for the new scoreboard in the gym including where it could be placed to best serve the players and audience and whether two smaller board placed on each end of the court might better serve everyone than one larger board near the center. Arcodia said he would seek answers and options. The board also heard details regarding the construction of the new greenhouse at Woodland School. The 8.5-foot x 16-foot structure will allow for new education opportunities for students and may grow vegetables that will be used in school lunches. It will be placed in the courtyard area behind the school. Oh good, so Barrington will continue to fall behind Heights in math scores. Yay? 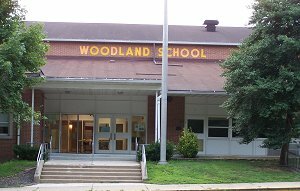 Woodland currently uses the same system as Haddon Heights. The district is looking at moving to a new system. The question is whether the new system is better or not. Quite a few years ago, Barrington switched to the Everyday math system – starting with grade 1 and I believe up to grade 6 (maybe higher now) so it was consistant. If you switch now grade 6’s system of math, how will that affect grades 1 – 5 that have been taught everyday math? Will there be chaos in the 6th grade math similar to the year when everyday math was introduced and was the first year the teacher had taught that method? I really hope that if the district changes, they better prepare their math instructors before they unleash it on the students. The board had similar questions. The goal is to get those questions answered by teachers (who have run both the middle-school Everyday Math equivalent and the pilot program using the proposed new system) before deciding whether to move forward. Which system is being proposed? It’s a new system to replace the middle-school version of Everyday Math (which has been in use for a while, as you said). Superintendent Arcodia suggested the new system was closer to the core standards the state is requiring. I’m not certain of the name (I’m not on the Curriculum Committee). I’ll try to get it and get back to you. This entry was posted on June 12, 2013 by Barrington Bulletin in Schools and tagged gym, math, scoreboard, students of the month, tregear.